Managed properly, a dealership’s database is its greatest asset. Dealers are sitting on mountains of data but most struggle with bringing their data from different systems and sources together and structuring, enhancing, understanding and, most importantly, making it actionable. 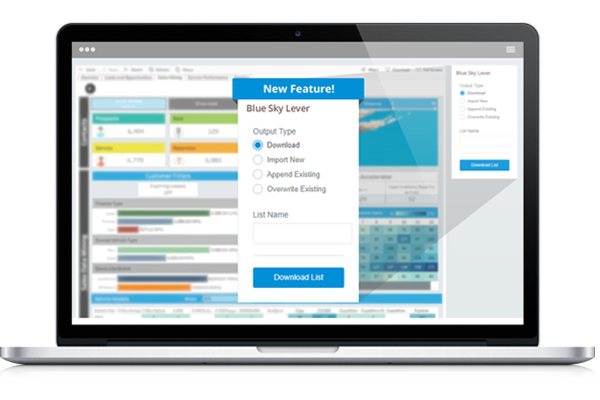 The 3 Birds Blue Sky Dashboards give automobile dealerships and groups a better way to understand the customer and prospect segments in their database, identify the many untapped pockets of opportunity, and claim the money being left on the table every month. 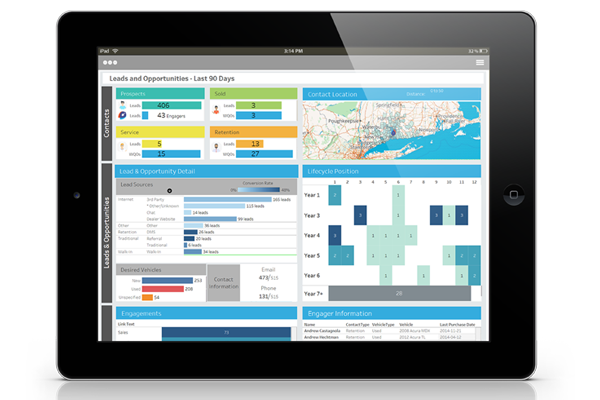 Built on the backbone of Tableau, the powerful business intelligence software, and applying 3 Birds’ proprietary predictive modeling and algorithms, these Blue Sky Dashboards are sure to become essential to the way dealers set and achieve sales and service objectives, anticipate and adjust for challenges, retain customers and increase customer lifetime value, gain a better understanding of their customers and what influences them, and market and train more effectively. When you bundle solutions together we can offer even more attractive pricing. Learn more about our other digital marketing and software solutions for automotive dealerships below. 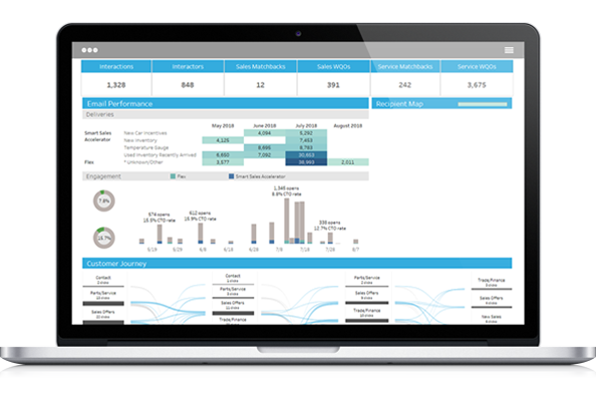 Our feature-rich solutions create a marketing ecosystem, reduce friction, and provide a brand-new, actionable view of your marketing and operational data. Better understand where your leads are coming from, how different sources close, and how to develop additional data to convert leads faster. Watch how your marketing efforts fill your funnel from gauging interest all the way to full-blown purchase intent by generating interest and intent data, tracking the consumer journey across channels, and predictive modeling. 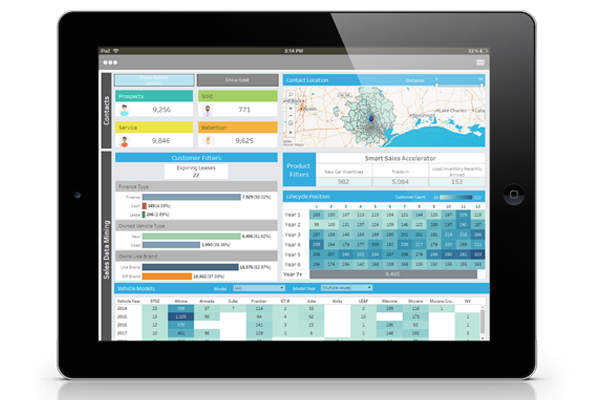 Provides a new way of looking at your customer database, and our mining and modeling provides pockets of untapped opportunity. Import or export actionable, revenue-generating lists that are valuable in spreading consistent messages across all channels furthering your digital marketing investments. These are just some of our select features. Click the button below to view our full feature set. Use the form below to reach out to us, and we'll put you in touch with the perfect person to schedule a strategy session. Be sure to include the best time to contact you (morning or afternoon), as well as any information about what you need from your digital marketing partner. We look forward to starting the conversation. Thank you for scheduling your strategy session! You will receive a response from us soon!